Picture above - Scanned copy of the leaflet (in Chinese language) issued by Sahabat Rakyat on 5 February 2006 in commemoration of the 10th anniversary of Lim Chin Siong's departure. Sahabat Rakyat had not set up a blog then. The original text can be found in Malaysiakini. 【Sahabat Rakyat Editor’s Note】 This article (in Chinese language) was released by Sahabat Rakyat on 5 February 2006 in commemoration of the 10th anniversary of Lim Chin Siong’s departure (who departed on 5 February 1996), when Sahabat Rakyat was formed for nearly five years. While promoting democratic and human rights struggle, we wished to make use of this article to recall the sacrifice and contribution that Lim Chin Siong had made towards the national liberation and democratic revolution struggle in Malaya. We also wished to sincerely express our determination and aspiration to learn from this eminent leader. We just translated this article into English language, hoping to disseminate it to non-Chinese ethnic communities and non-Chinese educated groups. At the end of July 2014, we received the softcopy of Part of Lim Chin Siong’s Q&A Posthumous Manuscript forwarded by a Singapore enthusiastic web user. (This is appended in My Youth in Black and White（我的黑白青春）, published by Lim Chin Joo, the younger brother of Lim Chin Siong). We presently uploaded it to Sahabat Rakyat blog on 2 August, so that those who were involved in the anti-British colonial struggle during the 1950s and 1960s could share and ponder, and to serve as reading, reference and research material for the readers as well as scholars from various countries interested in exploring the true historical aspect of the independence struggle of the people in Singapore and Malaya. 5 February this year is the 20th anniversary of the departure of Lim Chin Siong, the eminent leader of national liberation and democratic struggle in Malaya. 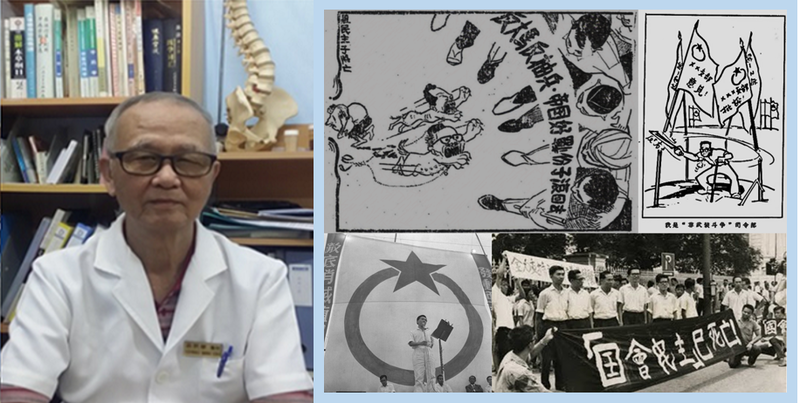 Lim Chin Siong endured relentless suppression and devastation by Lee Kuan Yew and the erroneous criticism and merciless blows by the left-wing aggressive leaders after the 2.2 Incident in 1963. He was then being exiled to London, UK by Lee Kuan Yew ruling clique in 1969. 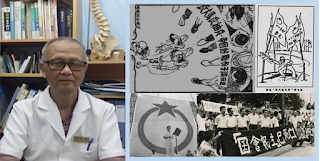 We are of the view that, the best way to commemorate Lim Chin Siong, is to propagate Lim’s ideologies, ideals and lessons learnt, especially the reflection and summing-up he did at his old age (upon his return to Singapore in 1979) on those important historical incidents of anti-colonialisation struggle of the Malaya (including Singapore) people and his own experience on leading the anti-colonialisation struggle. He died of a heart attack on 5 February 1996. Lim Chin Siong’s Q&A Posthumous Manuscript is the precious message he left about the national liberation and democratic revolution struggle of the Malaya and Singapore people that he knew and he had been through. On 5 February this year, we will commemorate the 20th anniversary of the departure of Lim Chin Siong, with the best way that we thought of. Stay tuned. Lim passed away on the same day 10 years ago. Since then, the poem becomes a famous quotation by the people to remember the fore generation of great people who sacrificed for ideals, who stood with the people, and served the people sincerely despite difficulties. Lim passed away on 5 February 1996. People still remember him, although it has been a decade since. Even though he is dead, he lives in the heart of people. He left inerasable prints in history in every step he had taken. Even Lee Kwan Yew respects him as a person with high personality. In the eye of Lee, Lim is “determined to struggle and sacrifice in realizing his ideals, and is incorruptible by material gains or political glory”. Such personality is unmatched by many. Thus, he is respected by many, even his political adversaries. He once said in an interview with Nanyang Siang Pau in 1955 that “being a public servant, one should refrain from leading a life of ease and comfort.” It should be a standard to be remembered and adhered to by all political and social workers. Reexamining his life, he actually did it. He lived a frugal lifestyle despite being a member of the legislative assembly. He is a people’s leader who stood with the people, lived with them, bore with them on their problems and even slept on the meeting room table in the Middle Road office. This leader served the people sincerely and selflessly. He devoted himself to the people in the prime of his life on his homeland he loved very much, disregarding gains and glories. What he left in history is a legacy of personality that serves as a role model to the later generations. Lim is remembered not of the office he held, but his sincere service to the people. Admire of the people to the selfless sacrifices of their great leader is always greater than the flattering of opportunists to the bigwigs. However powerful corrupt officials are, they are just some despicable ‘Yang Berhormat’. Although they are still alive, people long for their departures and great order. People tend to forget about the politicians who ride roughshod and oppress them. Even if those politicians are remembered, they will go down in history as a byword for infamy. Lim is a people’s leader who would lower his profile to serve the people sincerely. Thus, he is still remembered and respected until today. He is a great workers’ leader as well as an exceptional cadre of anti-imperialism and anti-colonialism, where he left an inerasable image in the people. He was not only the youngest legislative assemblyman in Singapore, but also the widely regarded as the most sincere political figure. Yet, the cruel political struggle then could not tolerate nationalist democrat who can lead the people in anti-imperialism and anti-colonialization struggle to build a truly independent and self-determined nation. In realizing the people’s will to end the colonial rule of Malaya and Singapore, he was jailed twice. Continuous cruel political persecutions drove him to despair, to the extend of contemplating suicide. Yet, that does not deny his sacrifices and contributions to the people. The injustice befell him is part of the epic tragic encounters of the people of Malaya and Singapore in fighting for the nation’s independence, democracy and freedom. His spirit of serving the people sincerely will be forever remembered. People will always remember him, for he is still alive even though he is dead. We wish to believe that his spirit will live forever, and will shine in the river of history. "There are green grasses wherever the spring breeze blows”, as long as the glorious side of human still exists, Lim’s great spirit will be immortal.